There is no doubt there has been a shift in the sentiment of the Melbourne Property Market over the past few months. As a result, we are witnessing more auction pass-ins but most properties are selling quite soon thereafter via a private sale negotiation. 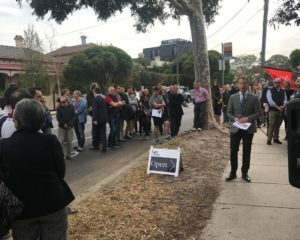 Although, in contrast, we are still seeing some runaway results in the inner city for well attended auctions, for example, in Hawthorn, Camberwell and South Melbourne. Home values overall are down 2.7 per cent nationally since peaking in September last year, according to the latest home value index from property analysts CoreLogic. This is no where near as disastrous as what the media are reporting. And one can’t forget that Melbourne experienced 56.4 per cent growth over the past five years to January 2018. 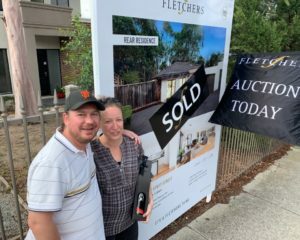 Over the weekend, there were 285 properties sold at auction in Melbourne, with 93 selling prior to auction and 300 being passed in, 155 of those on a vendor bid. In addition to the auctions, there were also 184 private sales. The result, was a clearance rate of 56%. We have seen a decline in Investors in the marketplace due to the banks tightening their lending criteria. As a result this has opened up opportunities for owner occupiers, first home buyers, and downsizers who now don’t have to face as much competition to secure properties. As a summary, we are seeing most buyers keeping their cards very close to their chests. Often allowing properties to pass in and then putting themselves forward to negotiate. We are experiencing a balanced market at present and if the properties are marketed well and priced right, are usually selling under competition from more than two buyers. There were 30 people who attended this auction which was quoted $950,000 to $1,045,000. This home is located in a popular, quiet location of Cheltenham. With mostly young families in the crowd, the bidding was a true reflection of the market conditions at the moment. The auctioneer had to work extremely hard to extract any bids and was almost going to pass it in on a vendor bid when a young man jumped in right at the last minute. The genuine bidding then started at $980,000 with the property almost passing into the only bidder when at the last minute again, another bidder entered the contest. They only went back and forth a few times when the original bidder bowed out and the property passed in at $1,020,000. The property later sold for $1,045,000. In Hawthorn, more than 100 onlookers attended the Saturday morning auction of a 3 bedroom, 1 bathroom Spanish mission-style home, at 55 Swinburne Avenue. Set on a 673 sqm (approx) block, this property has been in the same family for around 60 years. It offered an art deco period style with broad family appeal and scope to renovate in the future. 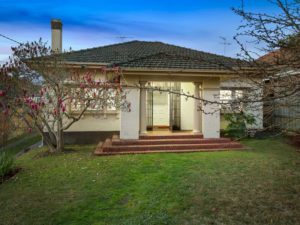 The property attracted a good crown of spectators with bidding becoming serious betweeen two bidders around the $1,999,000 market with the property eventually being sold for $2,165,000 showing the market in key suburbs does not always follow the downward trend. 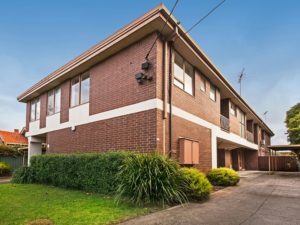 This 2 bedroom 1 bathroom apartment in Glen Huntly went to auction on a sunny Melbourne Sunday with moderate crowd in attendance. 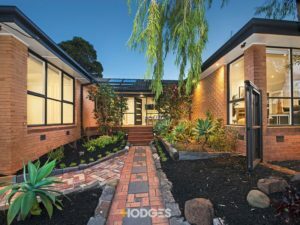 Tucked to the rear of the block, the home offered the appeal of a welcoming entrance hall off which is a large kitchen including ample work and storage space along with a relaxed meals area. With it’s location just stroll from the station and close to both bus and tram routes it was a perfect first home, downsizer or easily rentable asset. The auction started on a vendor bid of $430,000, the auction began with two bidders competing for the property, which later was joined by a young couple and another female bidder. The property was announced on the market at $480,000, with the property being sold to a fifth bidder at the end of the auction for $492,000.